The Cambridge Public Library Foundation supports Library programs that EDUCATE, INSPIRE and RESPOND to the needs of our diverse community. The Foundation does not raise money for day-to-day Library operations. We collaborate with the Library, in strong partnership, to determine where private funds can have the greatest impact. Our work shows just how much a small nonprofit can accomplish together with a great public library. 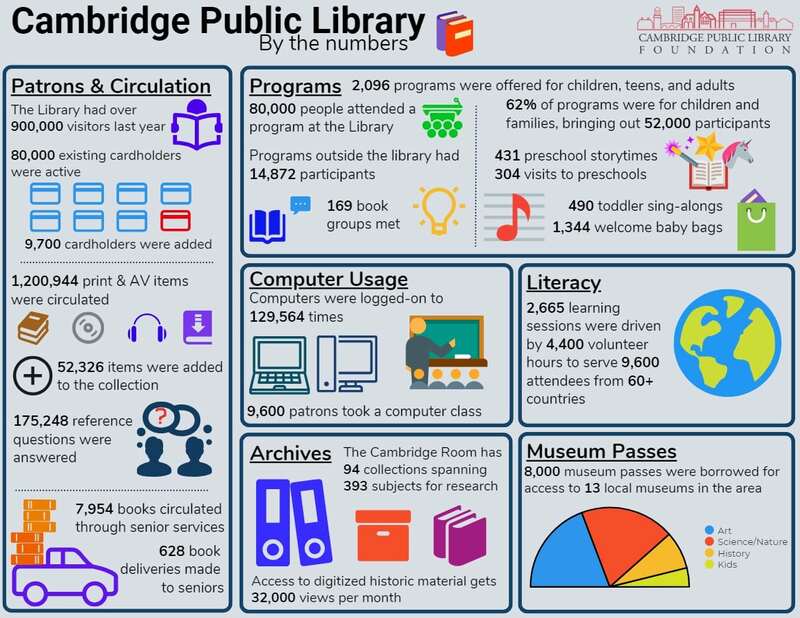 Click here for more information about how the Cambridge Public Library is hard at work serving our community. The Cambridge Public Library Foundation is pleased to announce that it is the recipient of a $50,000 grant from Google to support the Library's new Tech Bar. Please click here to read the full press release. You can find more information about the Tech Bar, and STEAM (Science, Technology, Engineering, Arts and Math) at the Library by clicking here.